Moyé. Sunkins (from left) with Tara Anderson (who plays Ms. Kara), Tiffanie McCall (Bonnie), Quinn Marques (Maseo) and Elijah Ali (Travis). It's no wonder the multi-talented Jermaine Nakia Lee was once hired at a community center called the PowerHouse Project. He's not just a playwright, director, actor, poet and songwriter, but Lee also is a committed community activist. 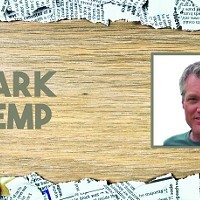 This week, he premieres his second new musical in the past five seasons, A Walk in My Shoes. His first one, For the Love of Harlem, spotlighted key figures of the Harlem Renaissance, and was so popular in 2011 that On Q Productions reprised it three years later. Walk turns the spotlight to HIV/AIDS. "In North Carolina and in the country, African-American and Latino 13- to 24-year-olds are disproportionately living with HIV/AIDS," Lee says. "In Mecklenburg County, African-Americans make up 70 percent of all new HIV infections. In most metropolitan U.S. cities, two out of four black gay men are living with HIV/AIDS. As a black gay man, these statistics alarmed me to action." Lee had more than statistics for expressing his alarm. Each of the major characters is loosely based on the experiences of clients he met as program manager at PowerHouse. Located across the street from Northwest School of the Arts on Beattie's Ford Road, not far from Johnson C. Smith University, PowerHouse mostly serves "young adult queer men and women living on or below the poverty level," Lee says. "After my first month at PowerHouse," Lee recalls, "I was so moved by the lives of my clients, I began writing songs about their experiences. Then that led to poetry. And that lead to the first draft of A Walk in My Shoes." The narrative of Walk covers many thorny scenarios surrounding the virus, and the tunes are not not always happy ones. Bonnie, for instance, was born with HIV, but she's still keeping the secret from her three besties, one of whom is Maseo, who has developed a mad — and dangerous — crush on his childhood friend. Overachieving O'Neal is the closeted son of the beloved Pastor Rutherford, a staunch homophobe who gets a rude shock when he issues an altar call for those in his flock who are wrestling with the "spirit of homosexuality." 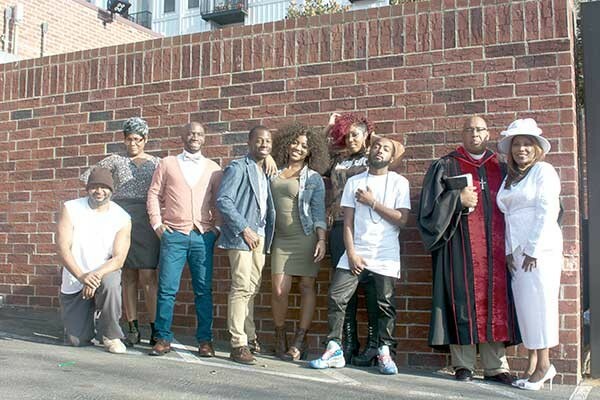 A Walk in My Shoes cast from left: Kyran McShaw (Mr. Jimmy), Gail Ford (Ms. Wynetta), Elijah Ali (Travis), Keon Sunkins (O’Neal), Tiffanie McCall (Bonnie), Tara Anderson (Ms. Kara), Quinn Marques (Maseo), Clifford Matthews (Pastor Gary Rutherford), and Myrna Key-Parker (First Lady Rutherford). The most serious drama centers on the most sensational character, Ms. Kara. Lee describes her as "a transgender female who can slay you with her sharp tongue or her killer eye for fashion. Those designer digs are afforded by her latest venture, online escorting." Problem is, Ms. Kara has just set up a rendezvous with Marques, a bona fide charmer — and a dangerous sexual predator. Apparently, Marques is a bisexual with a ravenous appetite, so you can bet he drives plenty of the drama. Johnson C. Smith, the co-producers of A Walk in My Shoes, approached Lee during his final year at PowerHouse to help them with a federal grant to draw attention to the correlation between substance abuse and risky sexual behavior. The grant came through just before Lee resigned in 2016, and it was then that he committed to creating a community-based event with JCSU. The character of Maseo targets the connections JCSU has sought to address. With the backing of JCSU and its Collegiate Health Improvement Project (C.H.I.P. ), Lee could aspire to far higher production values than the workshop version of A Walk in My Shoes that premiered in November 2013. "A Walk in My Shoes 2013 was a poorly funded, community-theater effort," Lee admits. "The intent was to cast 'the community': People living with HIV, people in high risk groups for HIV and inspired LGBTQ peeps. A Walk in My Shoes 2017 is a professional theatre production with a working budget, seasoned singer/dancer/actors and a grassroots marketing strategy." This week's three-performance run at the Attic Theatre marks a homecoming for Lee. Before it became the HQ for Little Rock Community Development Center, 401 N. McDowell Street housed the city's Afro-American Cultural Center, which was reborn as The Harvey B. Gantt Center for African-American Arts + Culture. Lee was a resident teaching artist at the old center after graduating from UNC Charlotte, interning for the urban division of Arista Records in Atlanta and performing on Disney Cruises for two years. So he knows the Attic well. In fact, that's where he workshopped Love of Harlem and directed Cheryl West's Before It Hits Home seven years ago. "It's the perfect intimate venue for a show like A Walk in My Shoes," Lee says, "where I desire the audience to feel like players in the story. . . bystanders watching it all go down." Lee won't specify the exact setting of the musical, other than to say it's a Southern metro area — like Charlotte, or Atlanta, or Houston. He also slipped the question of whether Pastor Rutherford was based on a particular local cleric or political figure, choosing instead to make a stunning statistical revelation: "More than 50 percent of the clients I referred to psychosocial care were wounded, sometimes suicidal, due to religious oppression." Pastor Gary Rutherford (played by Matthews) preaches to O’Neal (Sunkins). 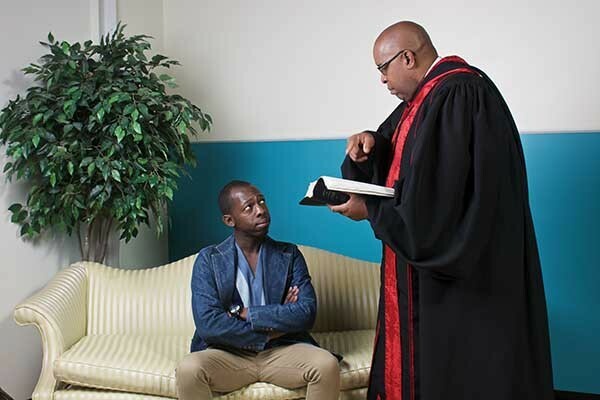 There is, however, an unexpected local tie-in to the new production of A Walk in My Shoes: Pastor Clifford Matthews Jr., spiritual leader of the St. Luke's Missionary Baptist Church, came out to his congregation and withstood an exodus of his flock, most of whom have since returned. This gay pastor will be playing the role of the homophobic Pastor Rutherford. "It was important to him that affirming pastors and churches like his be highlighted sometimes," Lee says. "Respectfully, I told him my conviction was to give light to the most common truth, which is that most traditional black congregations are homophobic. His church and others like it are the anomalies." And it might be mentioned that black churches are the wellspring of some mighty rousing music. Gospel is one of the prime elements of Lee's score, co-composed with Tyrone Jefferson of the A Sign O' the Times band. The music also roams into the realms of pop, rock, R&B and jazz. 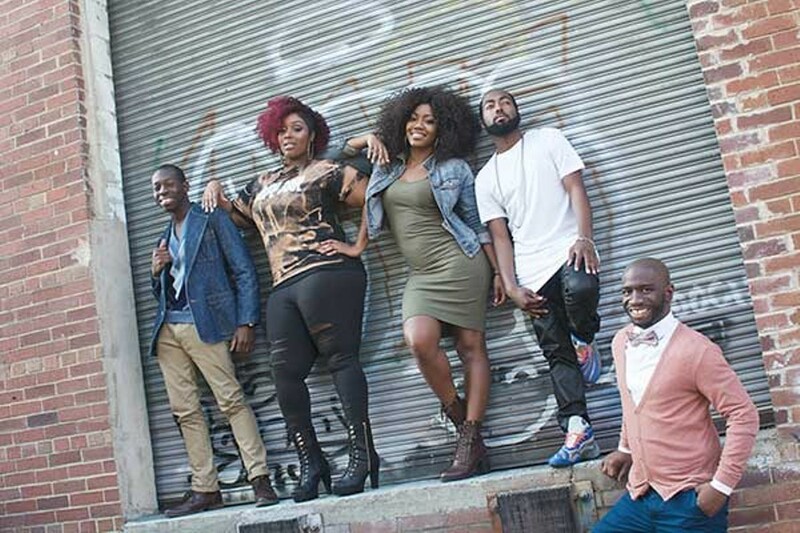 For the pair of hip-hop song lyrics, Lee looked to local poetess L'Monique, and he called upon the Reliable Brother dance group, who performed at Breakin' Convention CLT in both 2015 and 2016, to make the hip-hop dancing as credible as possible — or, as he promises, mesmerizing. In For the Love of Harlem, Lee was at his best when the music was big and brash — as it was in the opening title song, presented with the added sizzle of splashy ensemble choreography. In fact, some theater-goers who have seen Lee's productions find the music performances to be the most memorable. "The weekend anthem 'Friday Night' and the vogue dance ensemble are unforgettable," Lee says. "People stop me in the grocery store singing that song."